from then on, my interest in American Indian culture has only increased. What has really impressed me about Native American beliefs, is the fact that they are so respectful towards all forms of life. They treat game animals like family members, which shows their great capacity for universal love and their ability to communicate with the spirits through natural remedies or exhaustion is unparalleled in any other contemporary society. So, when it came time to choose a population to research, I knew immediately that I wanted to learn more about the American Indian population. At first, my research question was quite broad, but after conducting interviews and doing outside research, I was able to formulate a reasonable research question that was more based on the information I obtained from my interviewees. My original question focused on Native American religious traditions still practiced today, and whether or not native populations faced discrimination while trying to perform their culture, but after consulting with Dr. Riley and listening to my interviews again, I made a slight change to my question. The question I am asking throughout this webpage will be whether or not outside, specifically white participation in Native American religious ceremonies is accepted by the indigenous populations. Now, that doesn’t mean that I completely disregarded learning about specific ceremonies or the following discrimination, I simply reformed my research to mainly focus on this controversial topic. From the research I have conducted, and from the varying perspectives of my interviewees, I believe I was able to find out why the controversy exists, and what point each side of the argument makes on the matter. 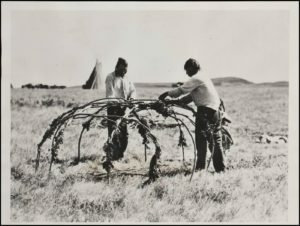 Two American Indians build a sweat lodge Visual Resources Image Viewer – American Indian Histories and Cultures – Adam Matthew Digital.” 2017. Accessed April 4. As I was doing some early research on the web, I came across a site with information about Native Languages of the Americas. On this site, I found a very intriguing link titled, “Seeking Native American Spirituality: Read This First!” Naturally, I read the post and found some very good points to include along with my interviews. The post was written by Orrin Lewis, who is Cherokee, and it goes over what to watch out for when seeking knowledge about the Native American culture. He states that the reasons for seeking such knowledge would be acceptable under educational or cultural circumstances. ” Either because you’re a student who’s been assigned to or just out of intellectual and cultural curiosity, you would like to learn more about how American Indians, or a particular tribe of American Indians, view the world” (Lewis 2017). Well, I’d say I qualify because I’m both of those! Another good point that Orrin makes in the post is a warning. “Indians are happy to talk about their beliefs and spiritual practices, both historically and in the modern day. Unfortunately, so are plenty of ill-informed non-Indians (or people of Indian descent) who think they know a lot more than they do. And so are those unscrupulous souls willing to pretend they’re something they’re not in hopes of making a buck or getting a little attention” (Lewis 2017). And from that point, I would like to introduce my first interviewee: Professor Robert McKinley, because almost immediately after starting the interview, he made sure I knew that he would “never pass myself off as being Native,” which I found to be very respectful. I chose to interview Robert because he is a current professor of mine in my REL 306 class: Native American Religions, so I knew pretty quickly that he would be a good candidate: his knowledge is very deep but also hard to follow sometimes. What I mainly wanted to know from him was how he became so knowledgeable and if he’d been accepted into a tribe or if he was more of an outside observer. I also wanted to know if he had ever personally participated in any native religious ceremonies, so these were the main questions I asked him. He explained to me that his parents guided him in “being aware of the Indian people around us,” given that he grew up in western New York, which is Seneca Territory, so he was quite informed on the Native population at a young age. With Anthropology being his main interest throughout college, he met fellow students and associates who solidified his interest with Native Americans, and “I had the experience in Oklahoma, of a tribe that had been moved during the removal days of the 1830’s, the Creek, and I’m a member of a square ground there…they’ve given me a name and all.” Robert has been accepted by the Creek peoples, who are a matrilineal society, even though he is a white man with no native blood in him. My first crucial piece of evidence. He said that he is most “active in ceremony with the creek” which led to my following question of what ceremony has particularly impacted him. Specifically, he talked about the Ribbon Dance, and their inclusion of outside participants/observers. Based on this segment here, one can see that although the Creek are inclusive of outside participation, they make sure that “you shouldn’t push your nose into everything” such as taking notes or taking pictures. I found the Ribbon Dance to be very “pivotal” and symbolic. The way the women of the tribe line up from youngest to oldest is like a representation of the present and future leaders of the tribe. From the information given to me by Robert, I believe that I had a good perspective to my research question. For the Creek people, at least, outside participation in ceremony is accepted, but they do have regulations, however, this was only one tribe and one perspective. Also, the information provided only focused on religious participation/observation, and not complete integration. Therefore, I felt as though conducting a life history interview with Alan Boyce could give me the integrated white perspective I wanted. seeking a shaman, however, one must be wary of the warnings given by Orrin Lewis. “Money is never accepted by authentic holy people in exchange for Indian religious ceremonies like sweat lodges or sun dances, nor for religious items like medicine bags or smudged items” (Lewis 2017). The fact alone that money can be exchanged for such spiritual practices is absurd. If western ideas spill over into traditional American Indian beliefs, then the native culture will slowly dissipate. In Rachel Mann’s article about this controversy, she provides a good opinion on this subject: “Many of today’s popular teachers of shamanism are suspect on the grounds of the ignorance and sense of entitlement of whites to the artifacts of Native cultures: “This work of imaginative construction — never admitted as such — has promoted unconscious Western fantasies of immediate access to indigenous healing wisdom” (Mann 2017) In relating this to Alan Boyce, I first want you to know that he never required payment from me for performing traditional practices, such as smudging. Given that Alan is a white man and has no native blood, his title as a Lakota medicine man and shaman is not widely accepted by all tribes. 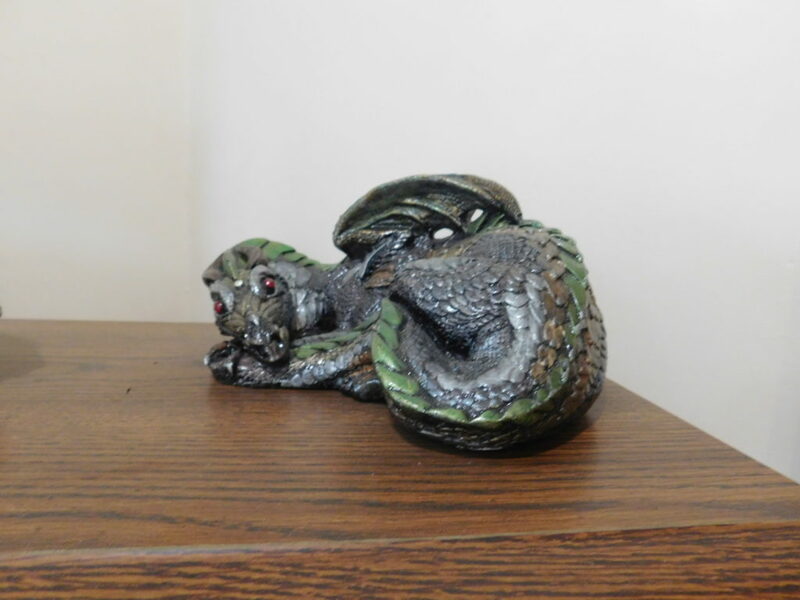 The most important part of this project for me was conducting an interview with Alan. After setting up a time to meet over spring break, I anxiously awaited to hear what he had to say. I met with Alan on a Monday morning and spent over five hours with him, but only got about an hour and a half all together of recorded audio. Before having a sit down interview with him, we spent some time out at a nature trail because he was going to show me how to harvest Red Willow tobacco. 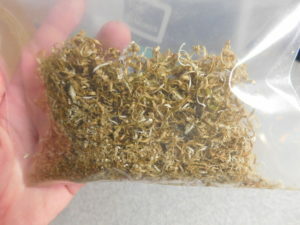 The overall point of collecting the tobacco was essentially a way for me to altruistically give something to him in return for the knowledge that he gave me, but in giving the harvested tobacco back to Alan, I had to do so with an intention or prayer, if you will, so that when Alan smoked the tobacco, my intention would be heard by the spirits. 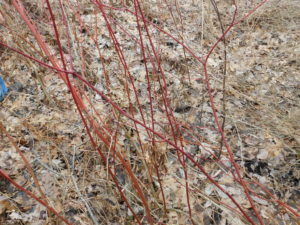 The Red Willow tobacco was new to me for I had only been familiar with “white man’s” tobacco up to that point, but I recognized the Red Willow once I saw it, I had just never registered it as Red Willow until that day. 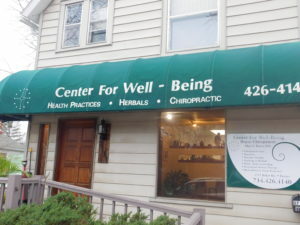 The picture to the right shows you a close up of what the plant looks like. They are basically long, skinny, red stalks, and the process of harvesting it is very hands on. In order to get to the tobacco on the plant, you first need to peel the red bark off by using your fingernails. Once the red bark is all off, what’s left is a bright green under skin that gets scraped off using a knife or a piece of flint. 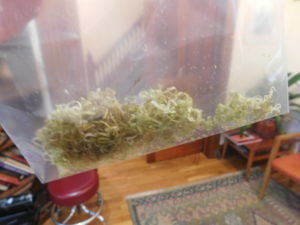 The scrapings look like curly green strands at first, but after they dry out, they turn a brown color which looks more like the tobacco you’re used to seeing. The picture on the right is all the tobacco I was able to harvest. This amount came from only three stalks and I had to return it to Alan with intention. While we were out on the nature trail, collecting the Red Willow, Alan performed a traditional song of thanks to the spirits for the tobacco. I could tell that Alan really cared about this part because while he was singing, his eyes were tightly shut, and he nodded in agreement with what he was singing. Another traditionally native aspect of the collection, was how Alan placed clusters of of tobacco in the cardinal directions while singing. The four directions hold immense importance with American Indians because of their strong connection with the natural world, so the directions of the world are seen as sacred, therefore, many ceremonies and traditions involve repeating a certain movement or song four times. After harvesting the Red Willow, it was time for us to head back to Alan’s office and start the interview. The interview segment I included is about Alan’s pivotal point as a medicine man, and is a very amazing story. You can choose what you want to believe in, but there is just no way that Alan would have made any of his experiences up. Give the segment a listen and keep in mind that Alan Boyce is a white man: he has no native blood in him. I’ll break down the interview as a whole to include quotes that can help answer my research question, but first, if you don’t listen to any other of my interviews, please listen to this one, it really makes you wonder. 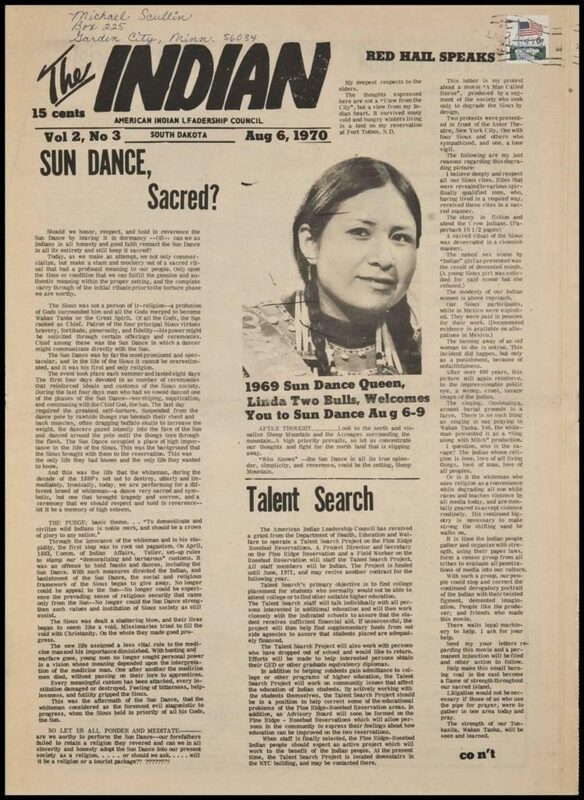 If you have never heard of a Sun Dance, or don’t know what it is, I have included an old newspaper article from the 1970’s that talks about the sacredness of it, for a Sun Dance ceremony is where Alan was at for this story. 1970’s newspaper article talking about the complications of the sun dance at that time. Image Viewer-American Indian Histories and Cultures – Adam Matthew Digital.” 2017. Accessed April 4. http://www.aihc.amdigital.co.uk.proxy2.cl.msu.edu/Documents/Images/Ayer_The_Indian_1970_08Aug_06/0. I found this article to be quite relevant, given that it talks about the outlawing of the Sun Dance back in the 1800’s. Fortunately, I was able to find out that there are no native ceremonies that are outlawed today. The Sun Dance is one the most powerful ceremonies and can result in some serious, life changing outcomes. Participants mostly fast for four days while they dance (it varies on the tribe), such as not eating or drinking for four days, and some participants choose to pierce their skin and tether themselves to a tall tree. The process usually results in one leaving their physical bodies and receiving a message, lesson, or a vision from the spirits. Now that you know a little bit about what type of ceremony Alan was at, I want to provide you with what he said about his reputation as a shaman and why he is accepted by the Lakota people. Specifically, I asked him, “Are you a licensed shaman, like are you an official shaman?” His response was, “We don’t need white man’s paper. I’m only as good as the actions I do for people.” He explains to me that “something from a higher order” is in charge of choosing who becomes a shaman and that there is no way to determine what is considered official. From that Sun Dance ceremony, Alan knew from then on that he “was given the knowledge to get ready” and felt that this was his calling. A crucial point of evidence that Alan provides is this: “Now, you ask a native person, ‘where did you get this from,’ I would say the spirits, and they may belittle it but it’s funny because, in Lakota, the medicine people, they get their direct information from the spirits, that’s why they’re medicine people, they get it from the spirits. Yes there’s traditions to observe, but you can, you can, get all the degrees you can but if you’re a lousy doctor, you’re not gonna have very good, big following. And so in the same way, you can have whatever is termed official, in man-made world, in spirit world, its the experiences that they give you, and I was given forewarning to get ready.” From what Alan told me from our interview, I was able to realize that although he is a white man, the Lakota accept him as a true medicine man because they have witnessed him heal people and believe that he was truly chosen by the spirits to be a shaman. In his case, he mentioned that not all tribes would accept him because not all tribes believe that medicine men are chosen by the spirits, but, I felt as though the evidence he provided was a good perspective for my research question. My final interviewee, Professor Gordon Henry, provided the best information regarding this controversy, however. Professor Henry affiliates with the White Earth Chippewa tribe, or Anishinaabe nation of White Earth Minnesota, and has had religious ceremonies passed down to him through the elders. He’s been practicing these ceremonies for over thirty years and they include “Everything from uh, first to getting a bognut, or sacred pipe and then um, (inaudible) a sweat lodge ceremony, uh fasting ceremony, and the (inaudible) is like a sun dance or thirsty dance ceremony.” Again, I found another example of sun dance practices and sweat lodge ceremonies that are still practiced today, so what I wanted to know next was if he’d ever experienced any discrimination in trying to practice them, whether it be access to resources or access to enough open space, or just general onlookers who disrespect the culture, I wanted to know the complications, if any. He had this to say: “Yeah ours is pretty, you know it’s not, it hasn’t been aged probably because a lot of the times, it’s by invitation. Sometimes people will bring other people and they’ll, ya know, not know what’s going on, but there’s been some misperceptions about it by people who aren’t familiar with it and you just tell people the best thing you can do, is just come and observe and watch and don’t be intrusive, just, take it in and if you have questions later then you can ask somebody, but um, yeah generally we haven’t had a lot of problems with that particular ceremony because we keep it, ya know, pretty uh, and so we don’t tell everybody where it is.” Given this information, it seems to be that native religious ceremonies are done in private for the most part, so onlooking discrimination is probably rare, and it seems like there aren’t any problems with access to space or resources because the destination for the ceremonies would be accessible by invitation for the most part. With this in mind, I next asked him my major research question. I wanted to know his opinion on non-native, specifically white participation in native religious ceremonies. After listening to this segment, one could say that the answer to my research question is relative. Gordon expresses that non-native people who receive backlash for practicing native customs, receive it because, in the eyes of a native person, they might think that the non-native person hasn’t a good enough background to be performing an indigenous, religious ceremony. So, it will all really depend on if the non-native person is practicing the tradition for the right reasons, and if they live their life in a good way that would be favored in the eyes of an American Indian. In Alan’s case, I fully believe that he practices native traditions with the intent of being as respectful and truly traditional as possible, but unfortunately, not everyone who practices American Indian religion does so for those reasons. Here is where I’ll give my final remarks about the subject. In regards to my research question, like I explained, it was hard for me to formulate a yes or no, concrete answer to the question. When it came down to trying to simplify an answer, all I can really say is that the controversy behind non-native religious participation is relative. This controversy isn’t one sided, and it’s not going to stop being an argument. Simply put, the historical discrimination and exploitation of Native Americans by the whites, has left a wound that cannot be healed. As I have found out, the native people are generally very welcoming of outsiders and don’t discriminate against anyone from practicing their religion. However, with that being said, there have been many misconceptions and malpractices done by non-native people, for example, people claiming to be medicine men or shamans and then charging you money to perform a ceremony on you. So this argument has good points coming from both sides of the native perspective. Those who hold a mindset of acceptance and inclusion, expect nothing but respect and reverence in return from outsiders, simple. Those who are wary to accept outsiders hold a mindset of doubt that the non-natives can be as wholly traditional and serious about their cultural practices as true natives are. Therefore, it seems relative to me. In order for one to make a solid judgement about another, is to actually know that person. In Alan’s case, the backlash he receives is due to him being white, and some tribes don’t believe that the spirits choose the medicine men, but in the Lakota, they believe the only way to become a shaman is to be chosen by the spirits, and given Alan’s accomplishments as a medicine man and as a shaman, he is fully accepted by the Lakota culture. What I learned most throughout this research project, was that American Indian religion, is not organized, like Catholicism or Judaism. Rather, it is simply their way of life. Their daily connections with the world around them solidify them spiritually with beings we can’t even begin to comprehend. They are so far advanced, spiritually, yet require the least and hold materials at little to no value. In a western society, like America, we see materialism and egotism as some of our most important traits. How you are defined by other people depends on how you look, what you own, and what lifestyle you choose. The Native Americans, on the other hand, care about being one with nature and with the earth; a contradictory relationship between Americans and natives. Unfortunately, this overwhelming cloud of selfishness and hate that has swarmed our nation, has put traditional native life jeopardy. Hopefully, as long as we remain respectful and caring of the native culture, those of us outsiders who truly want to be more integrated into American Indian life, can become just that, so we can carry on their traditions as long as possible. Image Viewer-American Indian Histories and Cultures – Adam Matthew Digital.” 2017. Accessed April 4. http://www.aihc.amdigital.co.uk.proxy2.cl.msu.edu/Documents/Images/Ayer_The_Indian_1970_08Aug_06/0. Lewis, Orrin. 2017. “Seeking Native American Spirituality and Traditional Religion: Read This First!” Native Languages of the Americas: Preserving and Promoting American Indian Languages. Accessed April 4. http://www.native-languages.org/religion.htm. Mann, Rachel E. 2017. “Should Non-Natives Practice Indigenous Religions?” Spirituality & Health Magazine. 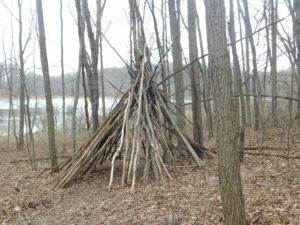 Accessed April 4. http://spiritualityhealth.com/articles/should-non-natives-practice-indigenous-religions. Visual Resources Image Viewer – American Indian Histories and Cultures – Adam Matthew Digital.” 2017. Accessed April 4. http://www.aihc.amdigital.co.uk.proxy2.cl.msu.edu/FurtherResources/VisualResources/Image/AP_BX72/52.